So cool! I love the concentric star quilting. Very clever. Thanks Sharon. I got the idea from Lindsey who quilted a flag quilt this way. It was much easier to do it on this small piece! I love it! 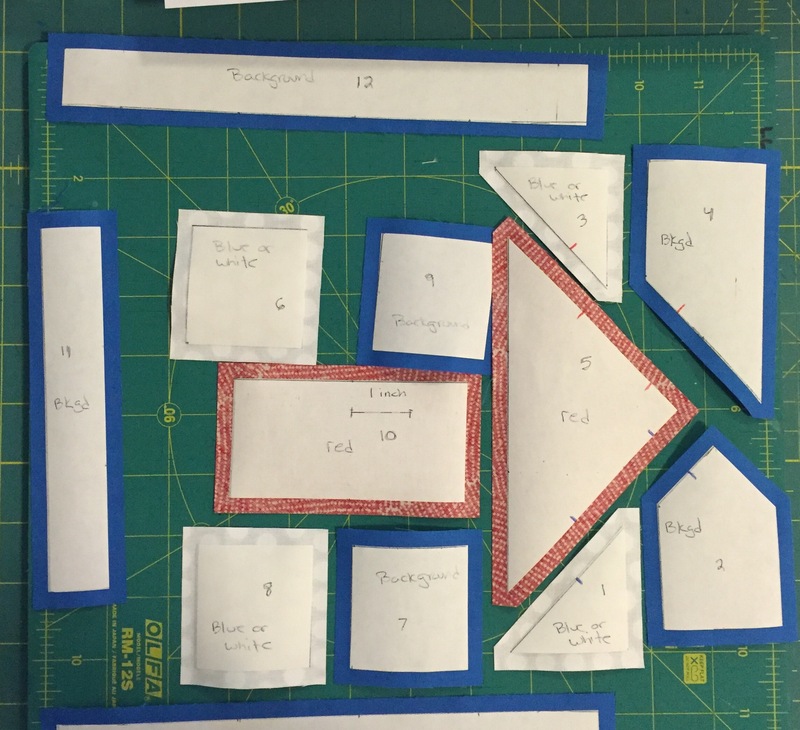 Since i don’t have any freezer paper here, I may try piecing it into 2 rectangles ( one will be easy, the other with partial seams), or I may just go out and get freezer paper! Would also make a great barn quilt! Donna – it is possible to cut a 8.5” x 11” piece of the kitchen freezer paper roll and send that through a printer. Of course, you may not have that either! Thanks so much! I downloaded both patterns and they were the same. I thought one was the freezer paper template. Anyway, I love the idea and can’t wait to make some for friends and me. Mary – I did link the wrong file to the post when I first published it. If you go back into http://www.ifinallyhavetime and click on the paper template link, you will find that it is there now. Sorry for the confusion! Thanks for letting me know of the change. I came back and printed the freezer paper copy. I really do want to make these! Once I do I’ll send you a photo. I appreciated the email as I wouldn’t have come back to check for a comment from you. Neat! Such a busy bee! You have seriously mastered that technique. I’m working on one now. For my first one, I’m using a combination of paper piecing (sew and flip) and traditional patchwork. You machine pieced yours? I did a combination of regular piecing and the paper piecing. Good luck with your blocks! I love the graphic nature of this. Thanks – sorry that I did not see this before my second post. Thanks for this. I am about to finish one using a combination of paper piecing (not English paper piecing – the sew and flip kind) and traditional patchwork, all on machine. It looks like yours are sewn on machine but using the freezer paper templates. I’ll try that. It would be fun to do completely by hand too. Thank you! I’m not a quilter, but I found piecing this remarkably easy. 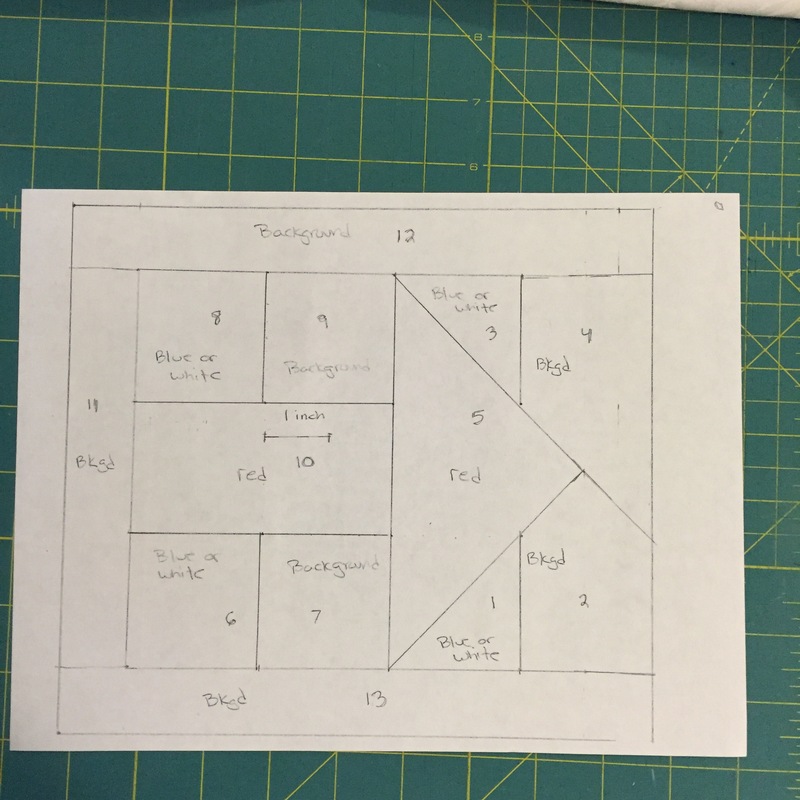 I just cut out the pieces of the template, copied them onto graph paper using 1/4″ margins for seam allowance, and stitched them together in the order you recommended using my 1/4″ foot. All told, with printing, tracing, cutting, and sewing, it took me about 2 hours. 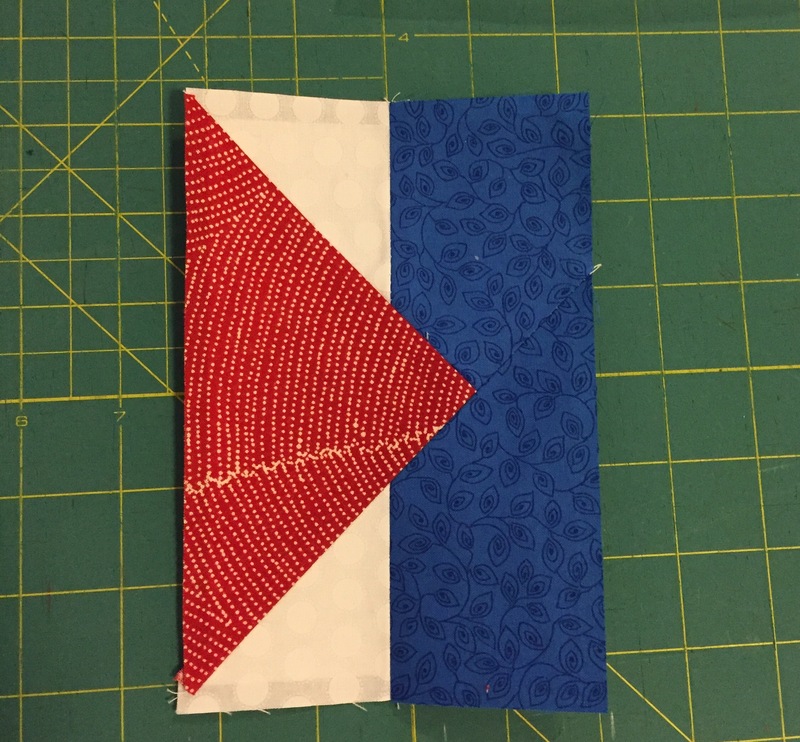 As I said, I’m not a quilter, so I’m going to back my square with interfacing and applique it to a tote bag that I will use to carry campaign literature when I canvass in a neighboring swing state (mine is reliably blue). What a handy and fun accessory!